Tasting Notes: Full bodied, delicate flavour with toasty notes. Mellow smokiness lending to sweet tobacco or plum character. The shape of the leaves is reminiscent of an eyebrow, hence the word “mee or mei” which means eyebrow. Chunmee translated is “Precious Eyebrow”. The leaves are hand-rolled in a traditional fashion and pan-fired requiring great skill and the resulting tea is considered a work of art. 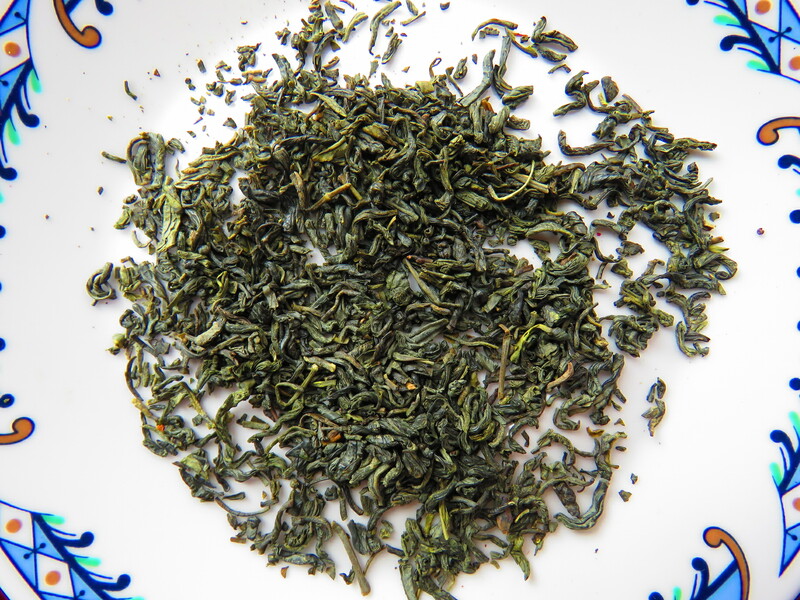 Patience, great hand coordination, temperature control and timing achieve a fine jade colour leaf and mellow yellowish brew. This tea reminds us of the “Tea Emperor” Song which notes “ …it promotes such serenity that mundane cares fall away.” Truly a blessing. This same emperor had this to say about tea plucking: ‘‘Harvesting the leaves should begin well before daybreak and stop shortly after. Picking must be done with the fingernails, not with the fingers, lest the freshness and taste be contaminated… Leaves of whitish colour shaped like sparrows’ tongues or grains of corn are best. One leaf per shoot is ideal; two leaves per shoot next best, if there are more, the product will be inferior’’.